Some would say “There’s no better way to find your winter peace then by sled!” ... SledRadium! SledRadium! What better way to experience some of BC’s best winter wilderness than boon-docking, carving turns, and floating through powder-filled playgrounds around the Village of Radium Hot Springs. 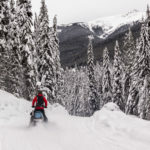 SledRadium – No matter your preference, guided tour from Toby Creek Adventures or on your own group SledRadium Adventure, there are many snowmobiling trails and routes to be explored. When on a SledRadium adventures please take proper safety precautions, and know the current avalanche conditions before you go. Beginner and intermediate sledders will find lots to entertain them, while thrill-seekers will never run out of powder-filled playgrounds in the high alpine. Complete your epic SledRadium day with a relaxing soak in the Radium Hot Springs and a bite to eat at any of our outstanding restaurants. The Windermere Snowmobile Society is a non-profit organization. The organization maintains the Forester Creek riding area. Over the last number of years the WVSS along with supporting partners has made some major improvements in trail maintenance hiring paid staff and a quota to groom more regularly. 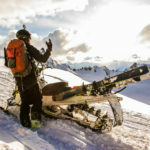 The Windermere Valley Snowmobile Society is a local non-profit club that has worked hard to keep riding areas in the Radium Hot Springs area open for future use. Annual memberships to the club are available online, trail passes can also be purchased at the Radium Hot Springs Visitor Centre. 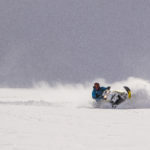 Follow the Windermere Valley Snowmobile Club on Facebook. As in past years the trail host will be at the trailhead (19Km) collecting fees and handing out important information on winter harvesting in the area. Click on map for printable PDF. Columbia Valley Trail Map Courtesy of Koocanusa Publications Inc.
SledRadium Trail Information provided by SnoRiders West, follow the link to discover more about sledding in the Radium area. 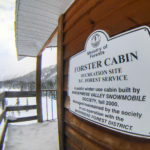 Forster Creek is the most popular snowmobiling area around Radium Hot Springs and it is maintained by the Windermere Valley Snowmobile Society. A groomed trail leads to the club's cabin and four meadows where sledders of all skill levels can do some powder carving and boondocking. Experienced riders can venture beyond the meadows and get into high alpine lakes that offer incredible views of the area. 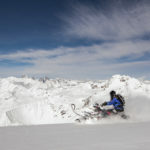 From February 15 to May 31, sledders can also access Catamount Glacier. For the 2016-2017 riding season, there is active logging taking place from Monday to Friday on the access road to Forster Creek and it is recommended to have a radio to communicate with the logging trucks (use radio frequency 158.46). Staging is now at the 27.7-kilometre marker on Forster Creek Forest Service Road. 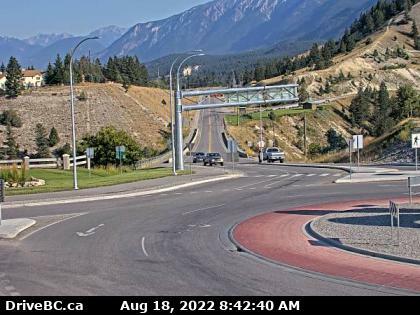 Located 17 kilometres south of Invermere, Brewer Creek is a more challenging area. The terrain here consists of gorgeous meadows and high alpine bowls. Keep in mind, however, that this area is not maintained and that there are high avalanche hazards. 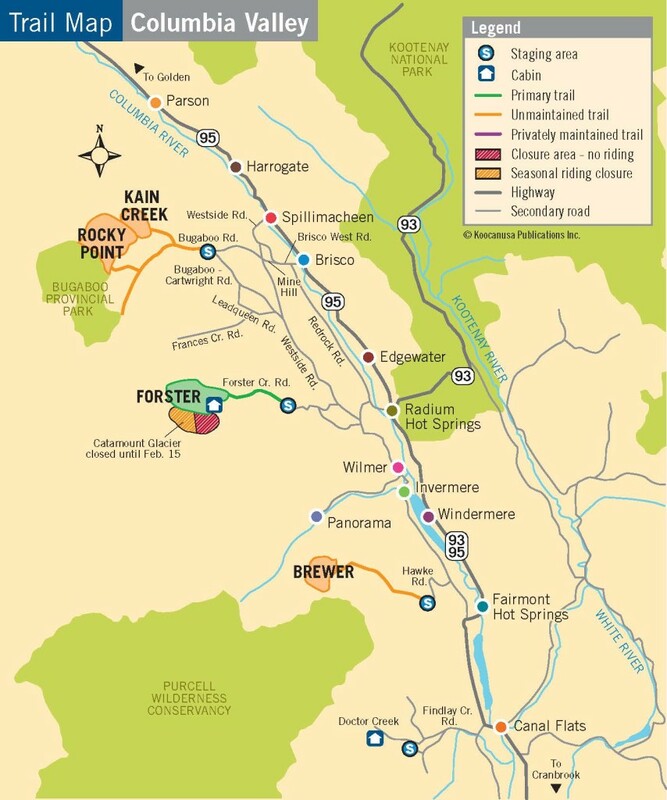 If you are an experienced rider, you might want to venture out to Rocky Point—an advanced and unmaintained area located west of Brisco. Rocky Point is accessed along the Bugaboo Forest Service Road, and there are a number of slide paths along the steep climb, so use extreme caution if you are riding in this area. This is a small and unmaintained area near Canal Flats. There is an older warming hut here that was originally the birthplace of the Windermere Valley Snowmobile Society. With several avalanche paths along the way, this area is not recommended for inexperienced mountain riders. Paradise Mine is a privately maintained area by Toby Creek Adventures. If you want to see the switchbacks, alpine basins and open ridges here, you can book a trip with Toby Creek. They offer guided tours that are great for everyone, including families. Riders who would like to visit this area on their own are asked to please respect the private lands and facilities, and obtain written permission from Toby Creek Adventures prior to unloading. The Village of Radium Hot Springs is a sledder friendly community with a wide range of lodging options from comfortable, clean motels and full-service hotels to luxurious private chalets and condos. 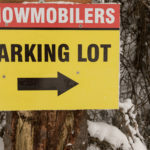 In-town accommodations offer plenty of space for large sled trailers and there are no parking fees.